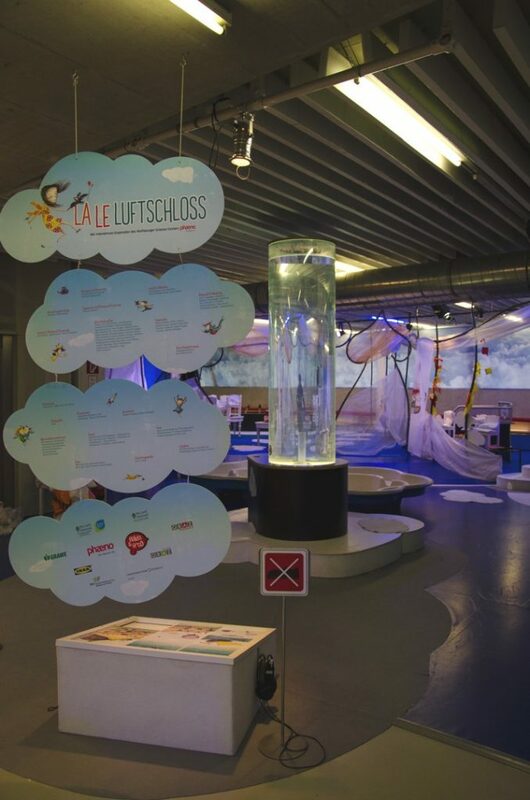 La-Le-Luftschloss is an interactive exhibition for children between 3 and 7 and imparts fascinating facts about air. 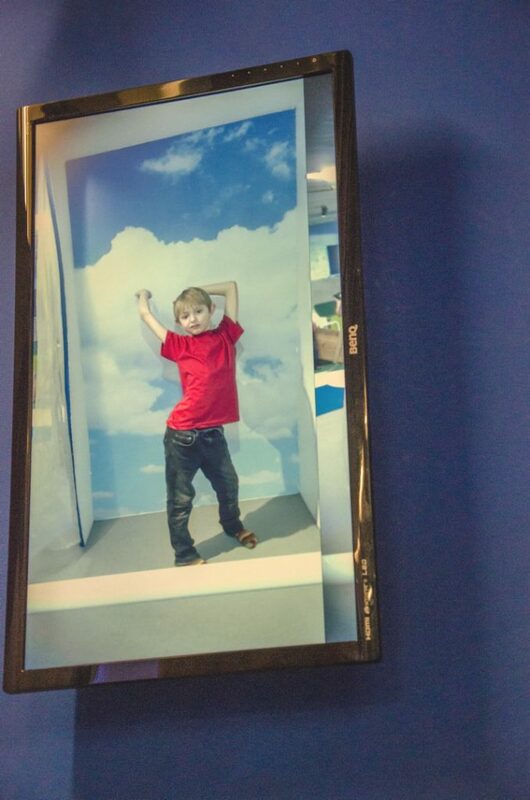 The DMT team developed several “air-based” stations, for example, a wind tunnel, in which children take wind-selfies. 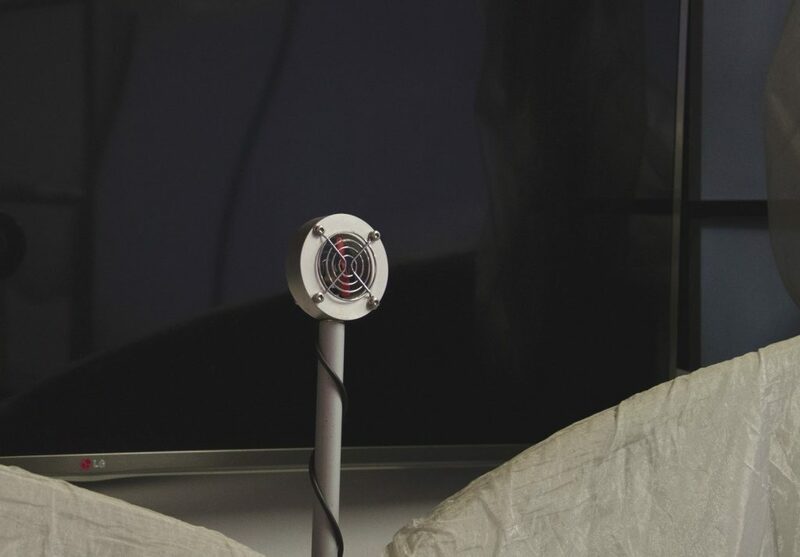 It is possible to banish birds with the help of a fan or to create cloud pictures through blowing.